Hello! 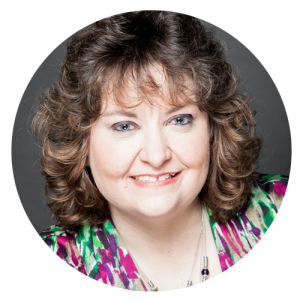 I’m Cynthia, and I’m so thrilled that you found my website! Let me tell you a bit about myself and why I do what I do . . .
For the last decade, I’ve been privileged to work with some of the best public speaking coaches in the industry — Patricia Fripp, Darren LaCroix, Ed Tate, Craig Valentine, Mark Brown, Lance Miller, Jim Key, Jock Elliott, and others who are active in the National Speakers Association and/or Toastmasters International. We had an online public speaking coaching program called World Champions’ EDGE. I was the “Chief Butterfly Herder” for hundreds of wonderful Champions’ EDGE Members from all around the world, providing them with advice & assistance with self-promotion via web, print, and other media, along with managing all of the events, technology, and behind-the-scenes activities of the organization itself. Yep, I admit it. I’m not a professional speaker. However, I have been a ‘non-professional’ speaker for as long as I can remember. I’ve trained volunteers at the United Way, GSUSA, Toastmasters, and at WordPress WordCamps. Every job I’ve ever had has, at some level, included the training of others or speaking on behalf of the organization. Pretty much everybody I spend time with is, in some way, a speaker. My life has been so blessed by knowing and working with people in the speaking industry! It’s been through those relationships that I’ve discovered my true passion… helping emerging speakers transition between speaking for a hobby and getting paid to speak. So, here I am… here for you and willing to support you however I can. Yep! That’s me! As you read above, I love my butterflies— my speakers. I am the Butterfly Herder! ©2008 - 2019 - All rights reserved. Need a Professional Speaker Website? I'd love to work with you... Let's chat!